Plugins are code packages that extend WordPress to do almost anything you can imagine. Plugins are composed of php scripts that add additional functionality to your blog. They offer new additions that either enhance features that were already available or add otherwise unavailable new features to your site. WordPress Plugins are designed by volunteers and are free to the public however you can voluntarily send a donation to the plugin developer to help support their efforts. When I first discovered WordPress plugins I was astounded. WordPress plugins can be added with just a couple of mouse clicks -> install -> activate. As a website developer, I have spent many, many hours manually adding code contributions or addons on other platforms. WordPress makes adding new features and keeping up to date with latest security releases so easy. In the WordPress Plugin Directory you can find, download, rate, and comment on all the best plugins the WordPress community has to offer. You can add plugins through the WordPress Plugins Panel of your wp-admin area by clicking on Add New or Install Plugins buttons (circled in red in the screenshot below). From the Install Plugin Panel you can search for a plugin either by tag or by typing your search term into the search bar. In most cases you can use the built in installer and upgrader, or you can install the plugin manually. Some plugins can only be installed manually using an FTP program. Upload the plugin to the wp-content/pluginsfolder of your WordPress directory. When you find the plugin click install. During the plugin installation WordPress with take you to the Plugin Installation Process Page. Once you see that the plugin has successfully been installed you can click to activate the plugin. You can activate and deactivate plugins from the Manage Plugins panel. Some plugins will work immediately others will require action on your part. There may be an new administration function added to your wp-admin area. You may also be required to add code to your Template or the WordPress administration files. Be sure to read the instructions provided by the plugin author. In the Manage Plugin panel a message will display along with a link to the location to download that new version. IMPORTANT! 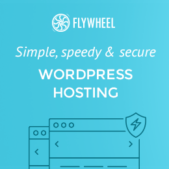 It is important to backup your database and your website files on a regular basis and before upgrading your version of WordPress and your plugins. The WordPress Database Backup plugin helps with this. It is also important to Deactivate a plugin before updating it. If an active plugin fails during upgrade your whole site can be adversely affected. Aren’t plugins great?! Please add your comment.